 Base Camp Oregon is dedicated to helping start ups and small businesses in the Outdoor industry to organize and grow their sales. We work on sales planning, channel strategies, key account identification, trade show plans, promotional planning, merchandising. We can help you establish a sales plan and then identify the steps needed to put it into action. In addition, we can help you establish a sales organization including sales reps. The good news is that we also have contact with key retail buyers and decision makers. Our goal is to get your sales growing!! SearchCast is an Portland based executive search firm with over 20 years of recruiting experience specializing in challenging, mission critical, and hard-to-find executives at the CxO/VP & Director level. High Technology: software, hardware, systems, cloud, semiconductor, etc. Outdoor Gear: knives, hunting, fishing, camping, boating, tools, etc. Industrious is a leading force in the coworking industry, providing five-star service, best-in-class workplace management and stunning design for companies and enterprises across its national footprint of 45+ locations. Our mission is to make you proud and excited to come to work, and to deliver a hospitality-focused workspace that is sophisticated, beautiful, and most importantly… yours. If you’re looking for a better work environment or on the search for your business’ next home, be sure to visit www.industriousoffice.com/portland to schedule a tour of our beautiful Pioneer Square location opening in September! Ranked in the Top 100 Accounting Firms nationwide, the Aldrich family of companies offers a broad range of financial services from traditional accounting, auditing and tax compliance to business valuation, management consulting, financial due diligence, international tax planning, employee benefit and retirement plan services. We also work closely with business owners and individuals to manage their financial, wealth and tax planning strategies. We serve a variety of clients, including manufacturers and distributors within the athletic and outdoor industry. Brandlive is the leading live video platform for training, marketing and commerce events. We cut through the din of digital clutter to help brands and retailers build relationships in real time. We’re a new medium, an evolving way of communicating, and we’re here to guide our customers every step of the way. Since 1997, Mathys+Potestio has provided creative and marketing staffing and recruitment/placement to the Athletic and Outdoor Industry. Strategic planning, business development planning. International corporate real estate advisory firm that exclusively represents tenants and specializes in the delivery of fully integrated real estate services. With more than 55 offices, Cresa is the leading tenant representation firm in North America. Through our partnership with Savills, one of the world’s largest commercial real estate services firms, we cover more than 255 locations in 40 countries. Point B, Inc. helps organizations form, execute, and thrive. With capabilities including Strategy, Venture Investment and Advisory, and Management Consulting this integrated set of businesses provide value to the organizations and communities we serve. Our consulting group helps clients develop strategic insights and translate them into impact. Our clients look to us for industry and functional expertise combined with our ability to execute. Our capital group provides deep venture advisory expertise, leveraging Point B’s broad network and the horsepower to drive portfolio companies’ growth and success. The firm is regularly honored by many publications as an exceptional place to work, including The Wall Street Journal and Consulting Magazine. Welcome to Kollege Town! We are proud to announce an exclusive partnership with adidas, making Kollege Town one of the largest adidas team dealers in the country. We offer innovative custom screen-printing, embroidery and jerseys to prestigious athletic programs nationwide. Is corporate more your style? We’ve got you covered there, too. Free one-on-one counseling, training, information and technical assistance in areas such as: financial, marketing, creative services, production, organization, international trade and feasibility studies. 21 locations statewide.